In Sniper Elite, players assume the role of an American sniper, disguised as a German soldier and dropped into war torn 1945 Berlin by the American OSS to gather intelligence on the top-secret German Atomic research. 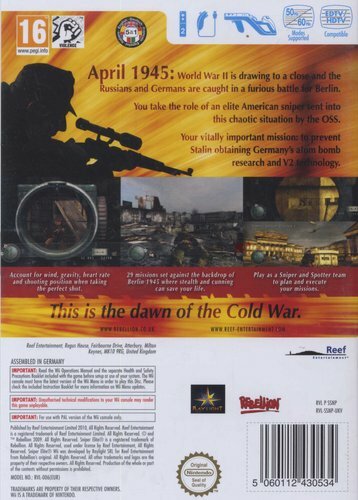 If his mission fails, control of the world's Atomic technology will fall into the hands of Stalin and the Soviet Army, throwing the world's political climate into chaos. In the undercover mission, players utilize their sniper training to gain access to key positions by taking out machine guns, armoured vehicles, guard posts and sentries through stealth and pinpoint accuracy. Like a true sniper, players must follow their wits and instincts and utilize both first and third-person perspectives to negotiate through 28 open-ended levels in war-torn Berlin. In taking aim at enemy soldiers, players need to consider gravity, wind speed, heart rate, breathing and posture to successfully hit their target in one of the most authentic sniping mechanics ever devised. Take aim and take down your targets. One man can change the course of history. 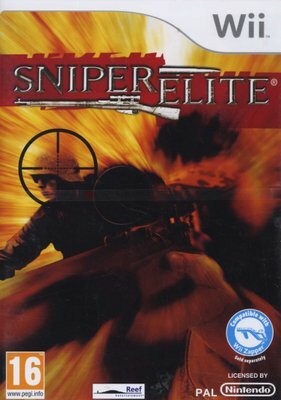 Sniper Elite was originally launched on PS2, Xbox and PC and quickly set the standard for in-game sniper techniques and bullet physics; to date, across all formats it has sold close to 800k units!. The new Wii version of Sniper Elite makes full use of the Wii?s control system with movement and gestures, is compatible with the Wii Zapper, and contains new levels and a raft of additional features, making this game one of a kind.